With the movement to ban the use of trans fats underway, have you asked yourself, "Why are trans fats bad?" It's a good question and one worth investigation. Trans fats are also known as partially hydrogenated oils. They are created when hydrogen is added to liquid vegetable oil to make it solid. Trans fats not only raise LDL cholesterol levels but they also lower your HDL (good) cholesterol. Some studies have also linked trans fats to a higher risk of type 2 diabetes. Along with looking at the negative side effects, it's also important to note that from a dietary standpoint there are no benefits to eating trans fats. The people who first discovered how to make trans fats didn't set out with evil intent. In fact, up until around 1990, people were unaware of the negative effects of trans fats on health. Trans fats were considered a good way to help keep costs down because companies that used them found them easy to use, inexpensive to create, and they could be used longer than other oils. As an added bonus, they gave foods a delicious flavor and texture. They became the fat of choice for many fast food chains and restaurants for deep frying products because the foods tasted great and the trans fats could be used longer without changing the oil in commercial fryers. They were also added to processed foods on store shelves because they increased shelf life. It saved money and created products the public wanted more of. It's pretty clear that trans fats are not good for us. That leads to a whole new question. 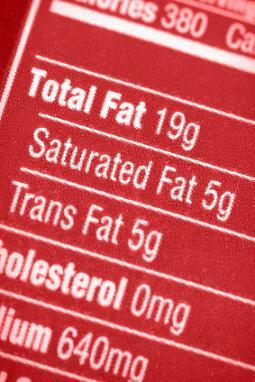 How do we avoid trans fats now that they have found their way into so many food products? It comes down to educating yourself by reading food labels. Look for words like "Partially hydrogenated oils" or "shortening" and avoid those products. Adjust your diet. It takes a little work to replace foods high in saturated fats and trans fats with sources of good fat , but it is a step toward heart health that is worth the effort. Include foods in your diet that are made with vegetable oils. Good fats can also be found in fish and nuts. These healthy fats help keep you satisfied longer so you eat less, too.